Pat's Fantasy Hotlist: A bit of humor. 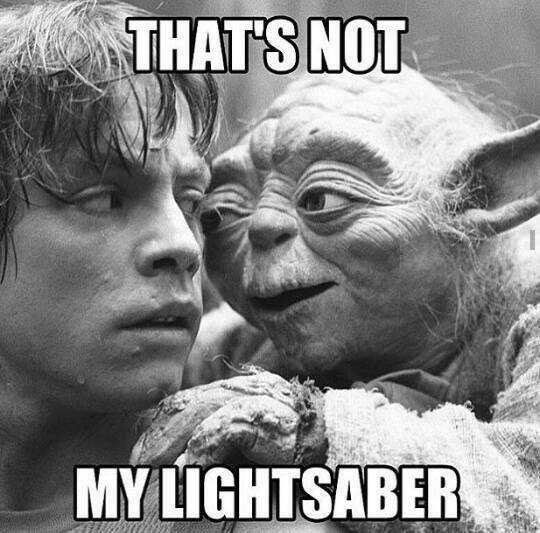 . .
Should be "My lightsaber that is not."